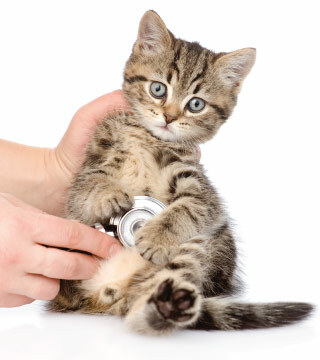 Cat care is an broad field that requires a competent and compassionate veterinary approach. For over 50 years, the veterinarians, technicians and support staff at Ingleside Animal Hospital have sought to achieve the highest standards of veterinary medicine through quality client relations, preventative cat care and continuing education. Perhaps the strongest testament to the quality of our care exists in the many happy, healthy cats we serve, and the consistently positive feedback we receive from clients. Our commitment to quality service is why our cat care clinic has become so well known and respected throughout the veterinary industry. Our cat veterinarians are proud to be American Animal Hospital Association accredited. Ingleside Animal Hospital is a state-of-the-art veterinary hospital offering preventative health care as well as advanced diagnostic and surgical services. Naturally, as a feline grows and progresses through life, it will undergo physiological changes and will face a variety of life events that will require care and attention. From kitten care to geriatric cat medicine, consistent preventative care can make all the difference in the quality of life of your cat and will ultimately impact the quality of your relationship with them. After all, a cat won’t tell you when they are in discomfort, but any sickness or injury will impact their mood, temperament and reactions to the world around them. Of course, between your busy schedule and the fact that cats tend not to RSVP for a veterinary emergency, our cat care clinic keeps extended hours to ensure that whenever you need us, we will be here for you. Because the medical needs of cats are unique, our cat hospital utilizes specialized equipment and facilities specific to felines. We try to minimize stress to the best of our ability, practicing feline friendly handling for procedures and examinations. This includes state-of-the-art tools, as well as cat veterinarians and technicians that are highly trained and professionally skilled in the most modern and effective cat hospital protocols and procedures. Our cat hospital is equipped to handle any medical emergency, treatment protocol or preventive procedure available to ensure your cat’s health and happiness. We take cat health very seriously. Our team of cat health professionals provides a plethora of services with an “above and beyond” standard of veterinary diagnostics. We also believe that a comprehensive approach to cat health requires a full-service, certified cat care hospital with the appropriate facilities, equipment and expertise to tackle any issue or challenge that arises. This allows Ingleside Animal Hospital to provide your cat with the best chance for health, wellness and longevity of life. From preventive medicine to comprehensive illness and disease intervention, our cat hospital staff will ensure that both you and your furry little feline friend are treated with the dignity, respect, transparency and compassion befitting the highest level of care and concern possible. Our cat hospital is only as successful as its relationship with our patients and clients. We will not accept anything less than giving our best to you—in our facilities, tools, and commitment to providing the highest quality service we can each and every time you visit. We are a dedicated, knowledgeable and passionate group of cat care professionals who absolutely love our kitty patients and their humans counterparts. Our cat veterinarians pledge their commitment to the health, wellness and happiness of your feline friend.